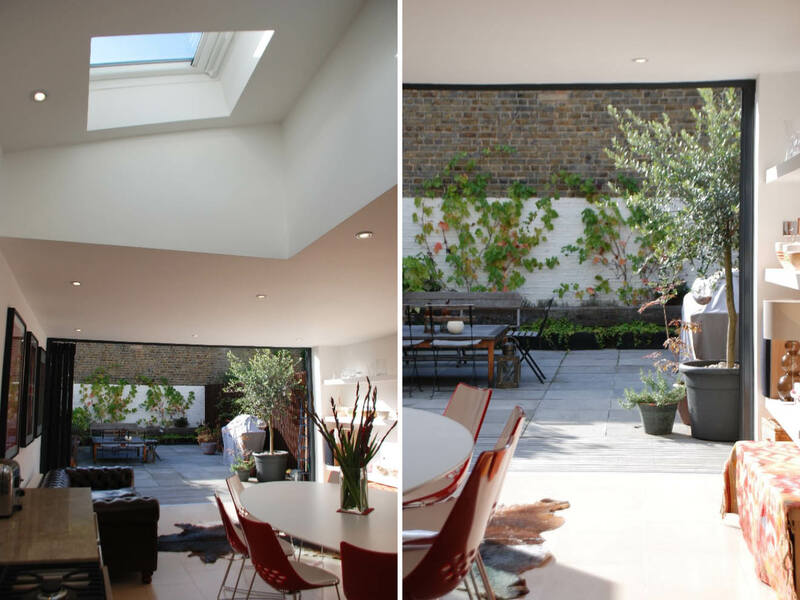 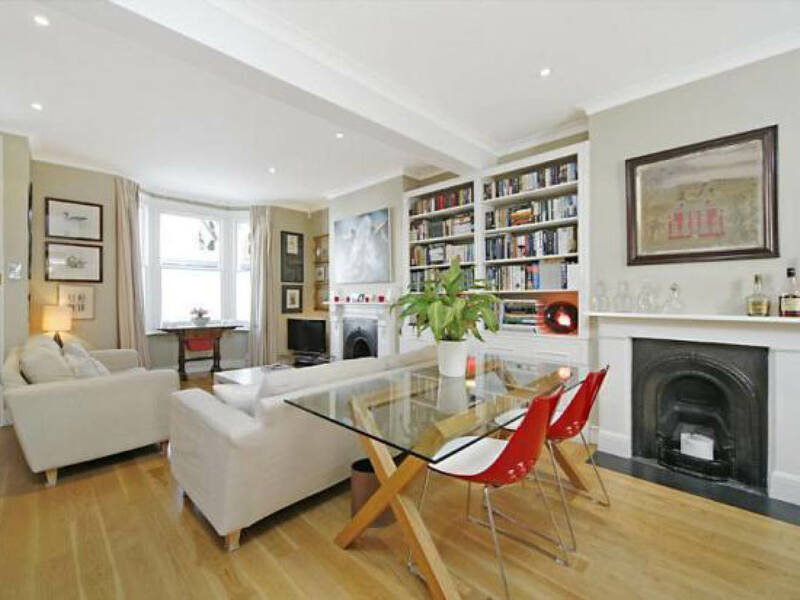 Project summary: A large ground floor side and rear extension and complete refurbishment, Hammersmith & Fulham, London. 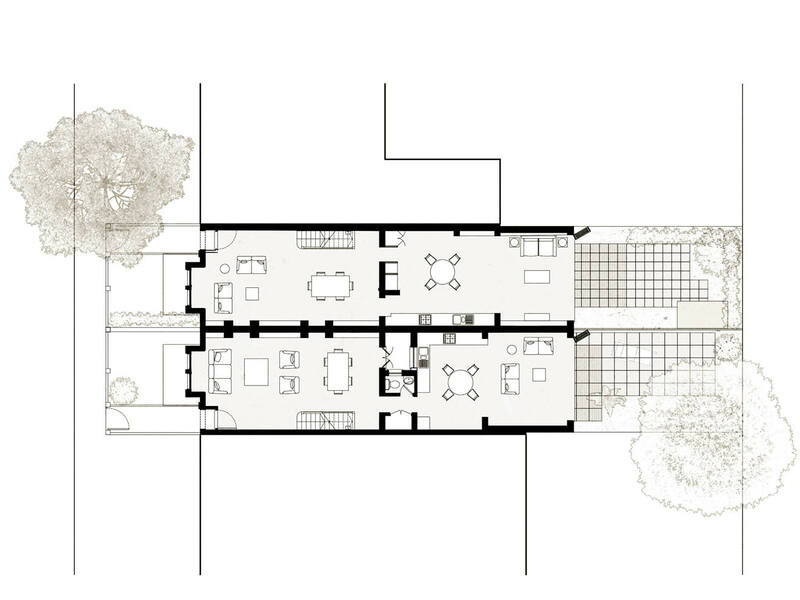 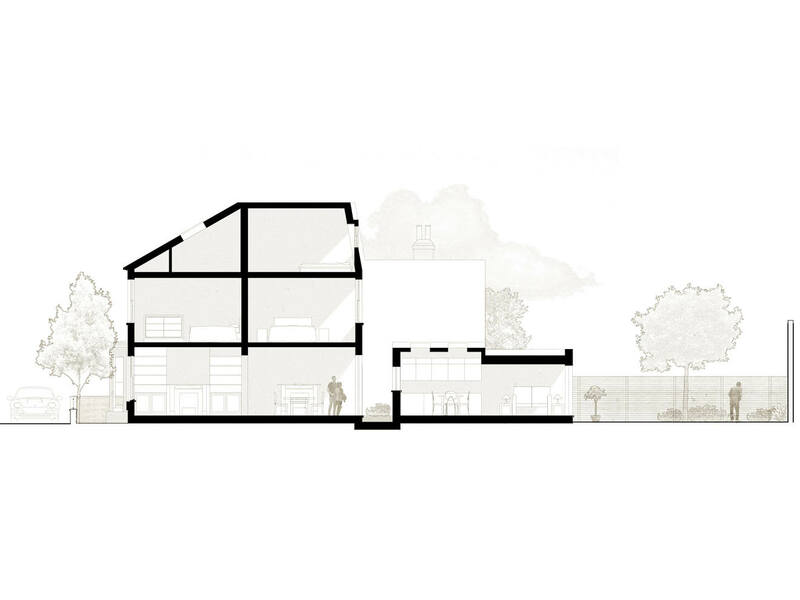 Alex Tart Architects worked with two adjoining Fulham properties and applied for a joint planning application. 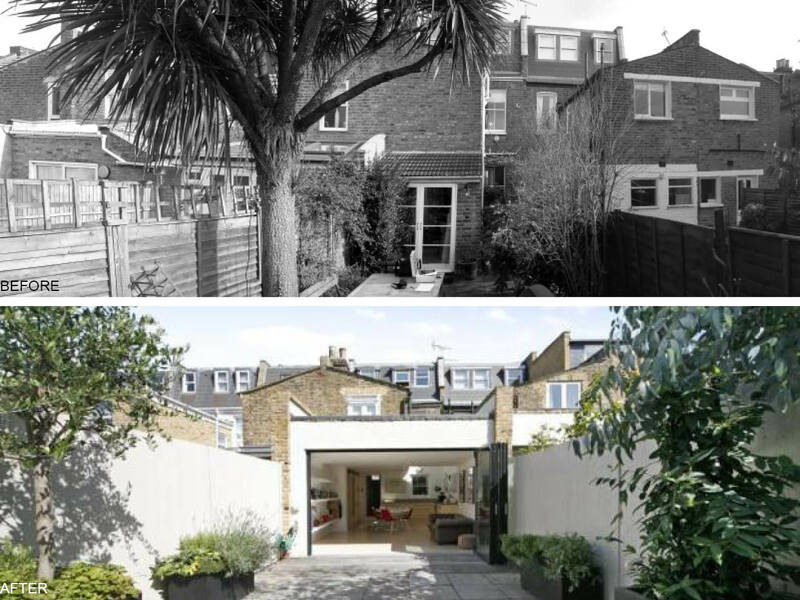 This enabled planning approvals to be obtained for unusually large extensions to these neighbouring properties. 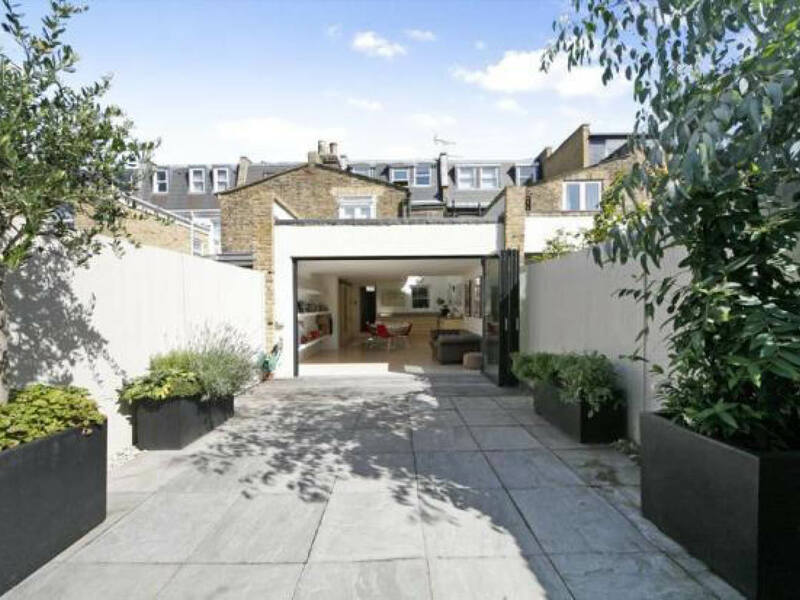 The approval was considerably higher and more spacious than those normally accepted in the Borough of Hammersmith & Fulham. 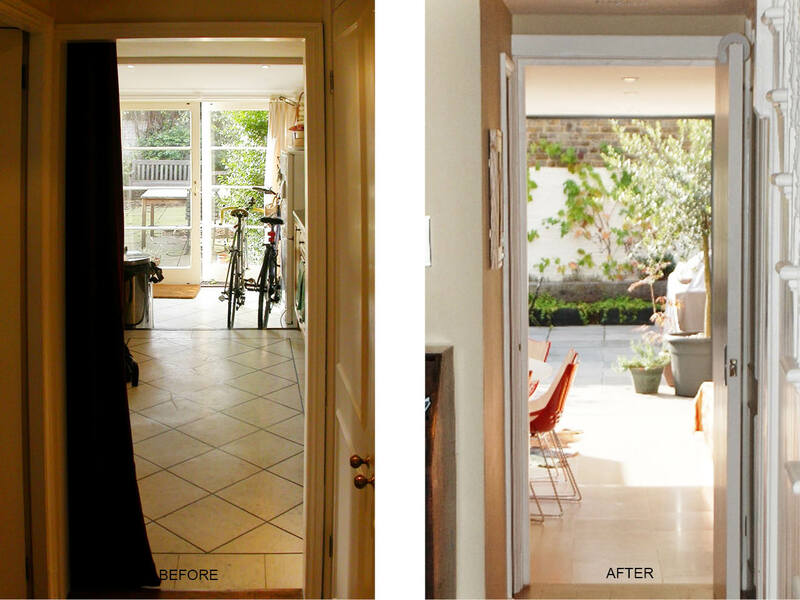 This was made possible through the elimination of many of the usual loss of light issues. 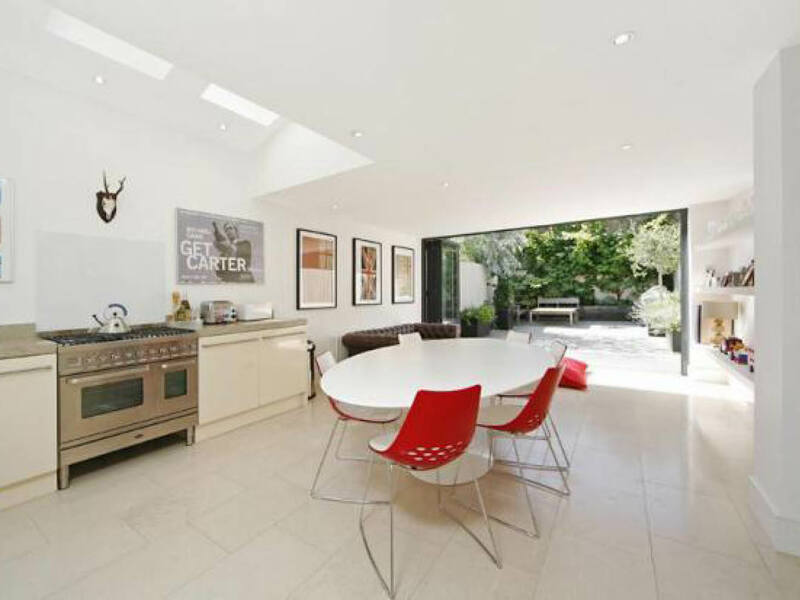 Through the use of sliding folding doors, generous kitchen, dining and living areas open onto the gardens of both properties.